Recently many visitors in our website are asking how to recover Instagram photos on iPhone because of accidental deletion or system failure. First of all, it is quite notable Instagram is a widely used app around the world to share the pictures of the moment. So, it is totally understandable that deleting Instagram photos by accident could be painful. The most common reasons to lose Instagram photos is accidental deletion, virus attacks, iPhone dropped on water or any other physical damage. Now, recovering deleted files on iPhone is quite new in the market because it is not similar to recovering pictures from computer. But still we have found 3 working methods that could help to recover Instagram photos on iPhone in desperate times. So, let's see how to get back your Instagram photos from iPhone. The first way to recover deleted photos is to restore it from the "Recently Deleted" folder. First, go to Camera Roll and find the Instagram album folder. If you see this folder exists then you can use the default system of your iPhone to get back the deleted photos from this album. Recently Deleted folder can store your deleted items for up to 30 days and if you have passed that time already then you won't be able to recover them. However, if you are still under the time frame radar then go to "Recently Deleted" folder and find the photos that you have deleted accidently. Simply, tap on the photos and hit "Recover" to restore them back to your Instagram folder. Another way to recover Instagram photos on iPhone is by the Instagram app. From 2017, Instagram integrated a new feature in their app where you can check the archive folder of Instagram in order to recover previous images. Think Archive like a recycle bin where you can restore the deleted items from. So, any lost photos can be recovered from this folder as soon as they are tapped twice. 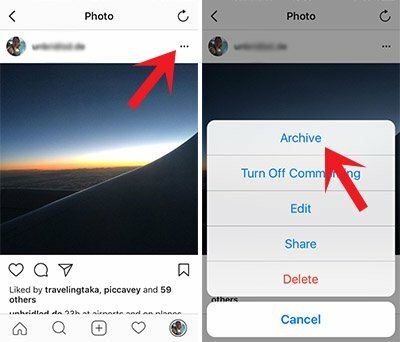 All you have to do is open the Instagram app, find the Archive folder and choose the picture that you wish to recover and tap on it twice to retrieve it in your original saved folder. Please note that if you have emptied your Archive folder in Instagram then you won't be able to get back the deleted photos. If the above methods don't work with you then it's time to use a third-party Instagram photo recovery software to retrieve the deleted photos from your device. IN this article, we will be using Androidphonesoft tool. Androidphonesoft iPhone Data Recovery is basically a data recovery software that gives you three ways to recover deleted photos or any other items from your iPhone. The three options involve recovery data from the iPhone itself or from iTunes and iCloud. It uses very powerful algorithms to scan your iPhone deeply and recover the photos or deleted content in no time. Not only you can recover Instagram photos with this tool, you can also recover contacts, videos, documents, WhatsApp messages, contacts, text messages and so on. It is a must-have tool if you tend to lose data frequently. The usage of this tool is extremely simply and within few clicks on your mouse, you will be able to get back your deleted data. First, you must download the latest version of the program on a Mac or Windows PC. Then install the program and launch it to see the three options of recovering data from your iPhone. 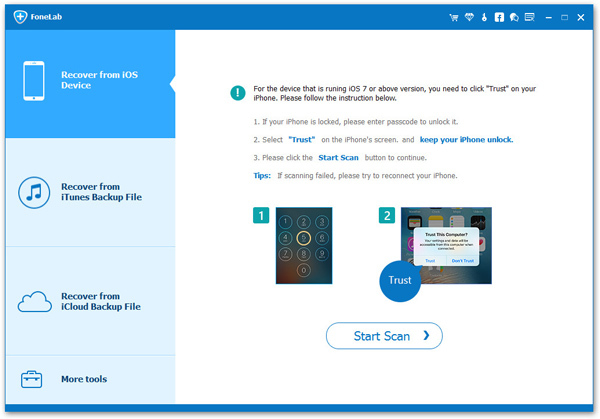 If you are recovering data from your iPhone itself, then click on "Recover from iOS device" and the program will deeply scan the entire iPhone. After finishing the scanning progress, the tool will show you all the deleted items in well-categorized manner. You can search each item in their respective folders to recover them. In this case, go to Camera Roll folder and recover the deleted Instagram photos. Another valid option is to choose Recover from iTunes or iCloud. 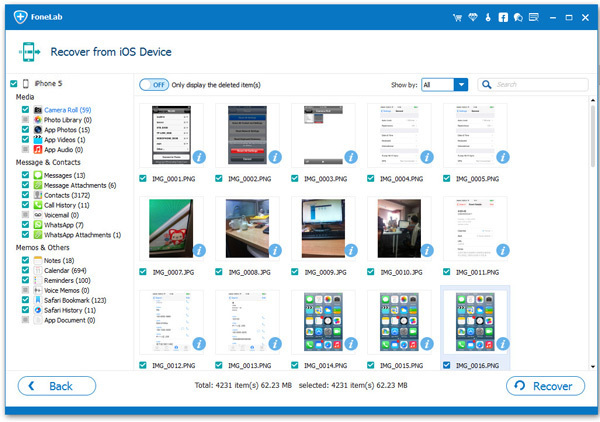 If you have synced your iPhone with iTunes or iCloud then you can restore the photos easily with this tool. 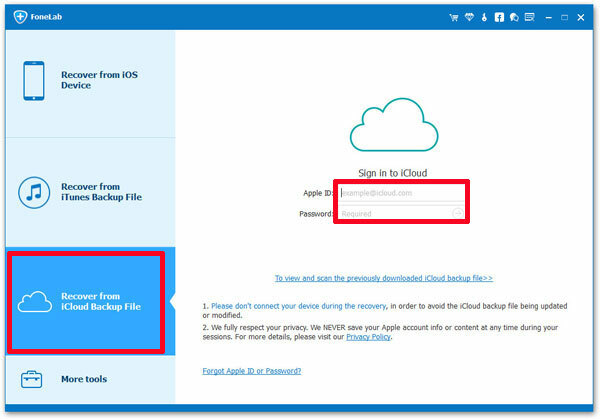 Just select "Recover from iTunes Backup file" or "Recover from iCloud Backup File" and enter the Apple login details in the software. Do not worry because it never saves your private information whatsoever. 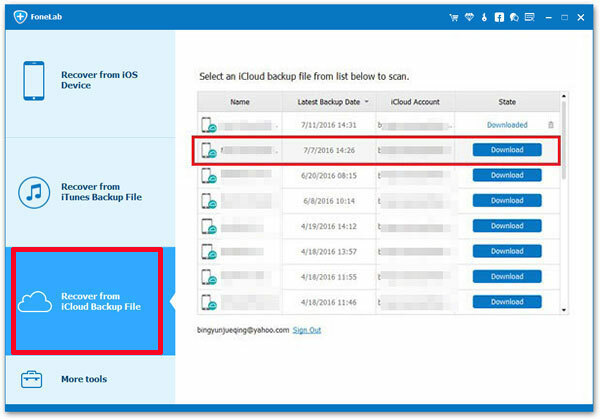 After logging in, simply choose the recent backup file and click on "Download". 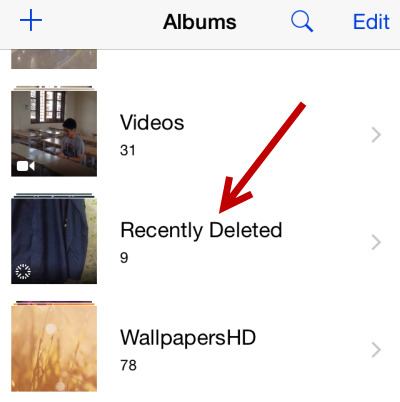 After scanning is finished, you should be able to view all the deleted photos. Keep checking the photos you want to restore and click on "Recover" to save them in your PC. Recovering deleted Instagram pictures could be tough if you don't know how to do it. However, we are pretty sure after reading this guide, recovering Instagram photos wouldn't be a big issue anymore. If you want to save your time and want to recover Instagram photos with 100% guarantee then go for Androidphone software. Plus, you just have to purchase it once then you can keep it with you forever.